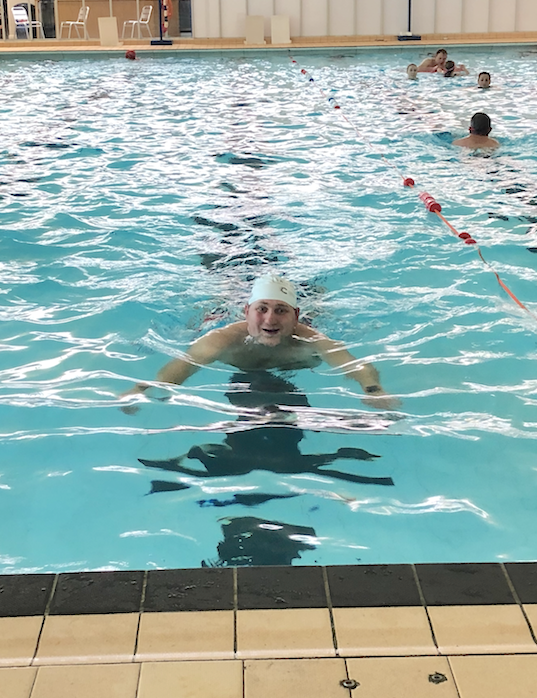 This week, we caught up with James Mead, our MySwimPro Ambassador in Kent, United Kingdom! 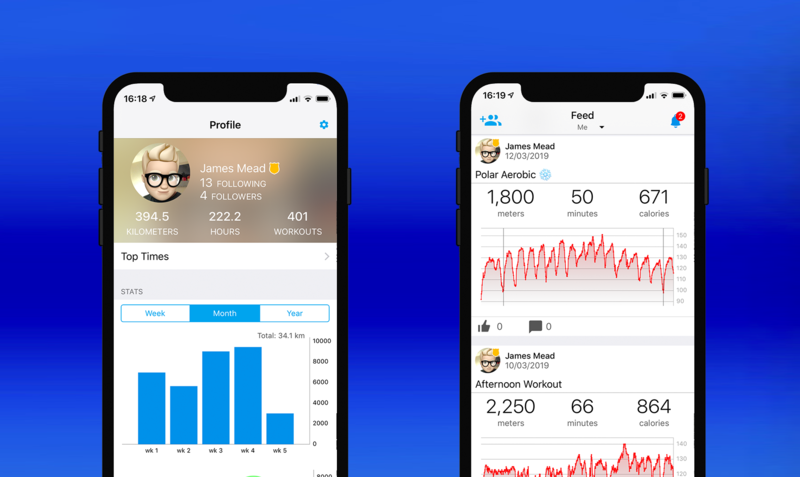 🇬🇧 James is an avid fitness swimmer who has over 400 workouts logged in the app! 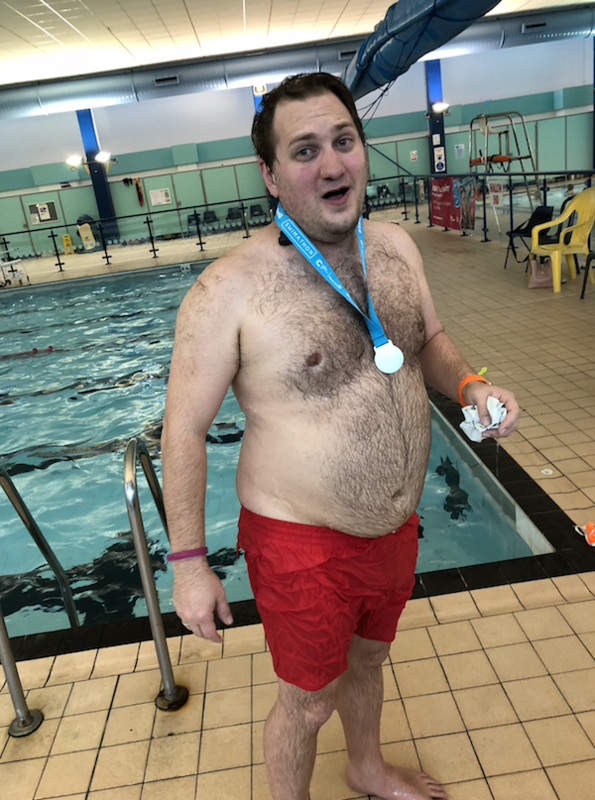 We’re proud to welcome James to our Ambassador Team and can’t wait for you to get to know more about this determined swimmer. Hi, my name is James, I am 37 (coming on 21) and I live on the Isle of Sheppey, just off the Kent coast of the UK. I work in Sales in a large IT company’s maintenance division looking after their rebate program. I’m a part time photographer, avid movie goer (far too many midnight screenings under my belt for my own good) and a reformed fitness addict. I learned to swim as a child at my parents’ insistence, but then took a slight hiatus as life and growing up got in the way. The introvert in me focused on individual sports such as trampolining, gymnastics and running. Fast forward 16 years and I found myself a fairly inactive 37 year old working from home and carrying slightly more ballast (3 stone to be exact) than I should be and a few niggling mental health issues. As a self confessed geek, I jumped on the wearable band wagon when it arrived. The first few attempts by the industry to the masses were heavily focused on step counts. This was great to get me motivated to start moving again, but I wasn’t seeing any real effect on my body. I joined gyms over the years but it never really stuck. I’d go for a few months, but never really saw much of an improvement, so I cancelled my membership. Mental health problems have slowly plagued me over recent years, so while waiting for one of my therapy sessions I noticed a flyer talking about the benefits of swimming. The general consensus by medical types is that swimming is a good workout with very little impact to the body’s joints. So out came the swimming shorts from a long forgotten cupboard and I joined up for a monthly pass at my local pool. I made sure I went a few times a week, and the rest they say is history. When I originally joined my local pool about a year and a half ago now, I would potter up and down in the slow lane, managing about 250 meters in an hour. Constantly stopping for breath. I was training with no meaning, trying to keep count while observing the social niceties. I’d occasionally slip into the medium speed lane when I felt daring but always felt as if I was holding everyone up. Over that time, with a little help from a friend I met at the pool and the challenge of an upcoming Swimathon I improved my speed and technique. I’ve gone from a few 250 meter swims a week, to doing at least 1-1.5k most days of the week. 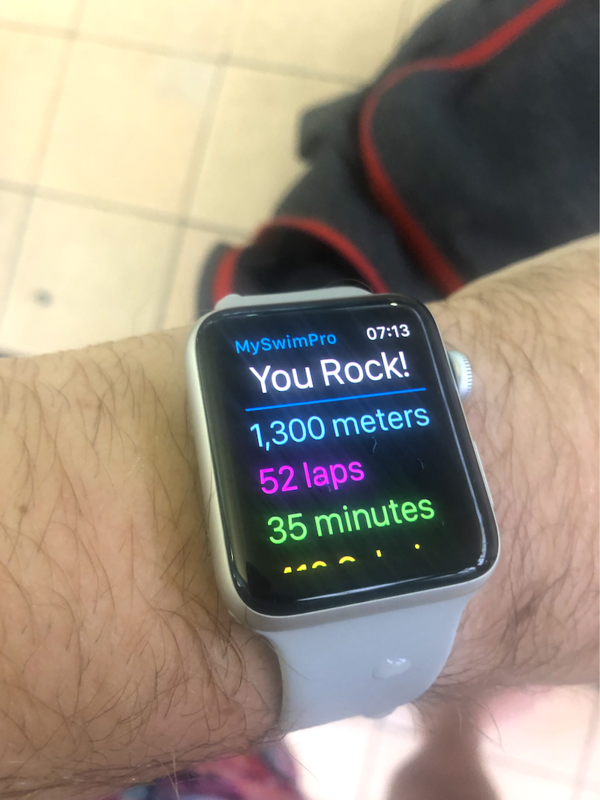 Having the MySwimPro app on my Apple Watch has meant I’ve left those mind bending sessions of slowly bobbing up and down the pool, ignoring everyone, as I tried to keep count of my lengths. The built in workouts have helped me find some variety in my daily swims, and no longer having to mentally track all my laps has let me focus on my technique and improving speed. MySwimPro allows me to make sure this is all recorded unlike the native app that cannot cope with drills. The training videos have helped me correct a few technical faults and when I do find the pool quiet enough I love the set workouts for pushing me and adding variety. The MySwimPro community as a whole has been amazingly supportive. The stories you see from around the world, and the support when you post your story or your latest workout triumph is amazing. 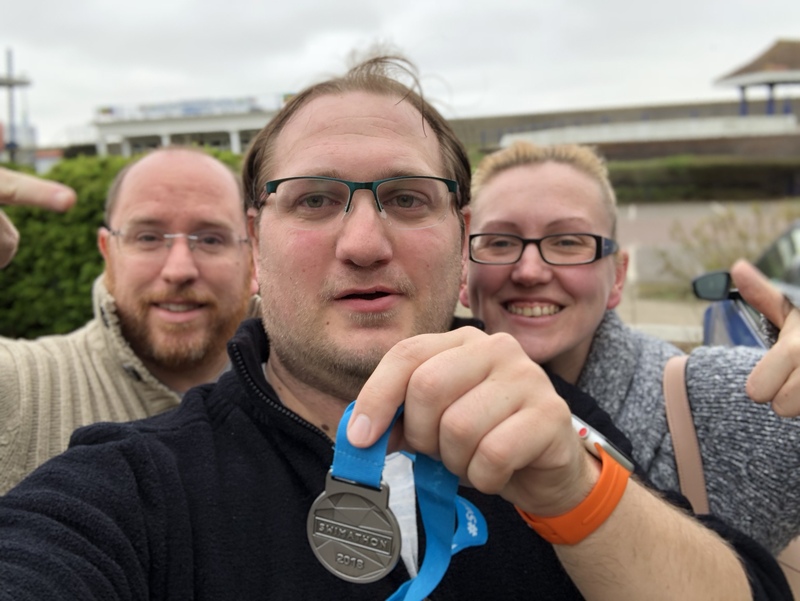 I’m currently into the final training straight before I complete this years Swimathon challenge in the UK, a team 5k challenge – which is actually happening this weekend! Whether you swim 100 meters, or 100,000 meters, the fact you got in is amazing so just remember that. Don’t judge your progress based on others in the pool. Waterproof MP3 players are a life saver! I needed something to help keep my brain distracted while I worked towards longer distances. Don’t forget your post swim snack. You are crushing it, James! We are so happy to have you on our team as an Ambassador. Thanks for sharing your story, keep up the hard work, and good luck this weekend!